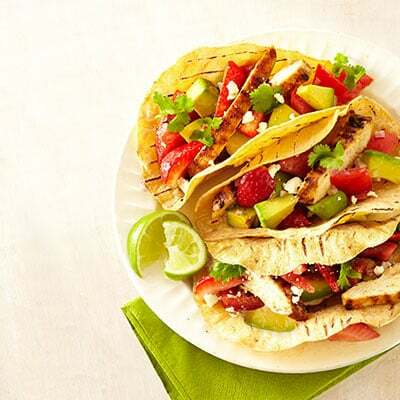 Taco night will quickly become your family’s favorite mealtime when you bring these fresh, flavorful, and creative taco recipes to the table. 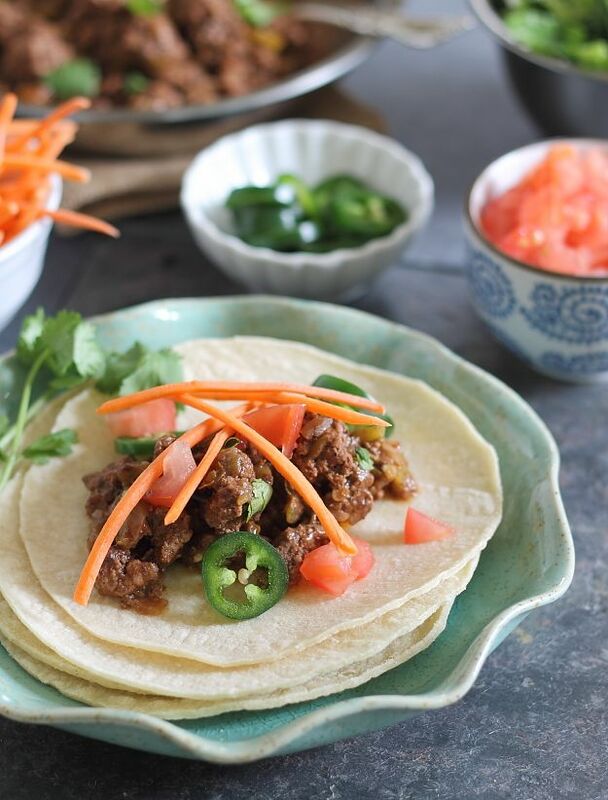 Perfect for personalizing, you can prep all your taco ingredients, plate them separately, and let your family assemble their tacos exactly as they like. 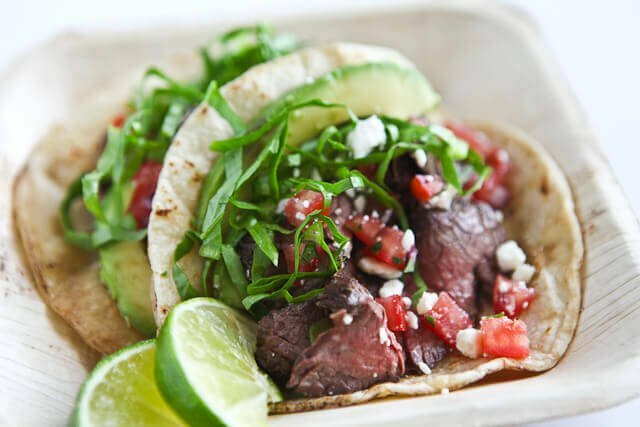 Deceptively simple, these Skirt Steak Tacos are so quick and easy to prepare, they’re sure to make several appearances on your dinner menu. 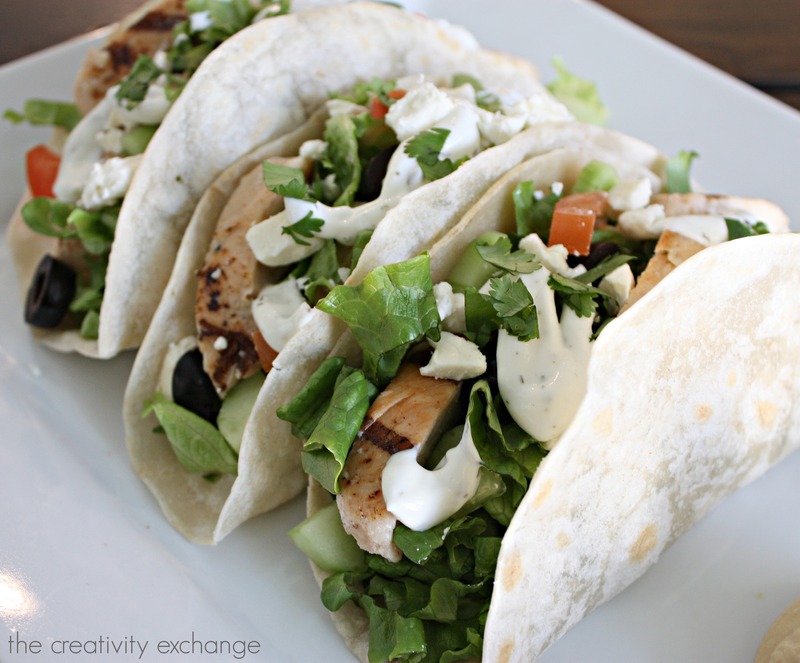 Turn any salad into a delicious light taco like these grilled chicken Greek salad tacos mixed with romaine, feta, chicken with a cucumber dill dressing. 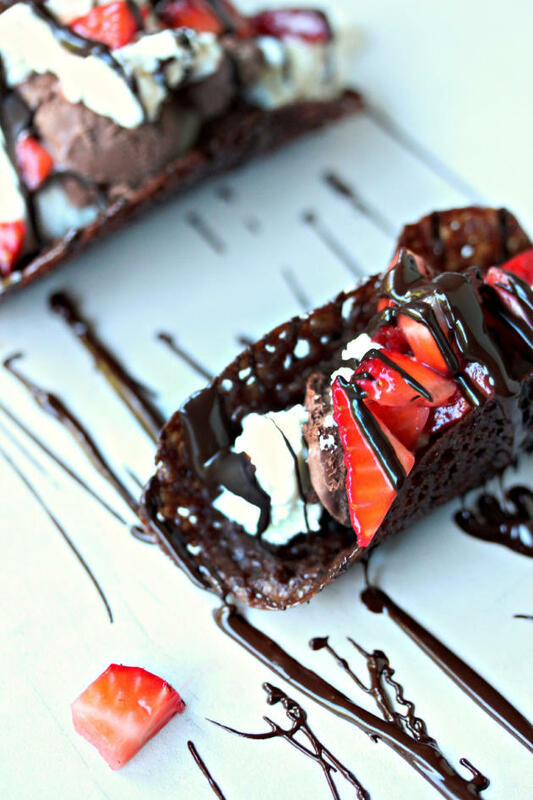 Chocolate Chile Tacos—yes, you read that right. In these Chocolate Chile Tacos, cocoa powder, green chiles, and ground beef combine to make one tasty taco. These pork-based Cranberry Chili Street Tacos are a marvelous mixture of sweet and spicy. 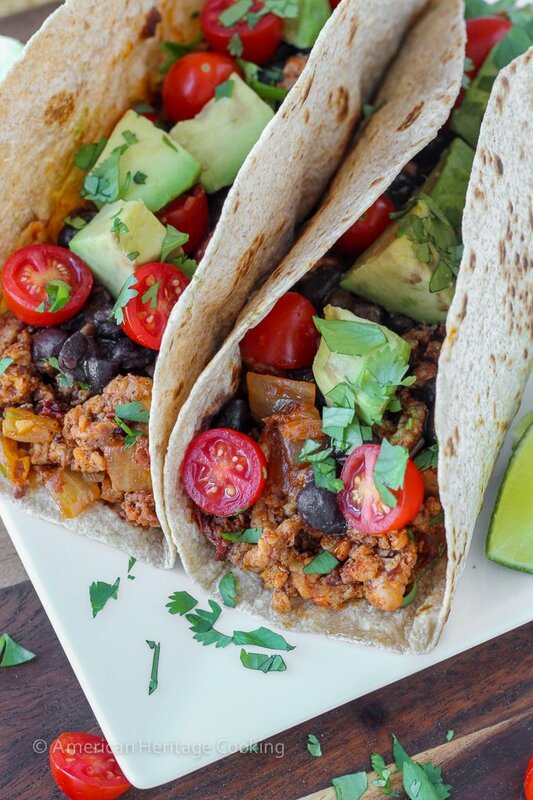 Chicken, chorizo, chipotle peppers, black beans, avocado, and other fresh flavors combine in these Healthy Chipotle Chorizo Chicken Tacos. 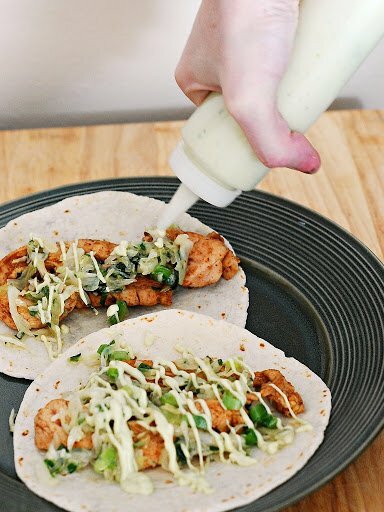 These spicy Ancho Chicken Tacos with Cilantro Slaw and Avocado Cream are chock-full of mouthwatering flavor. Grilled chicken, strawberries, avocado, feta cheese, cilantro, and more combine in these Grilled-Chicken Tacos with Strawberry Salsa. 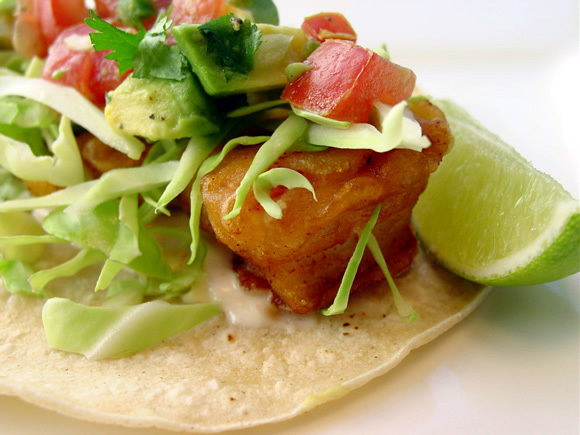 These Baja Fish Tacos feature beer-battered whitefish, avocado relish, and a fresh and flavorful sauce. Yum! 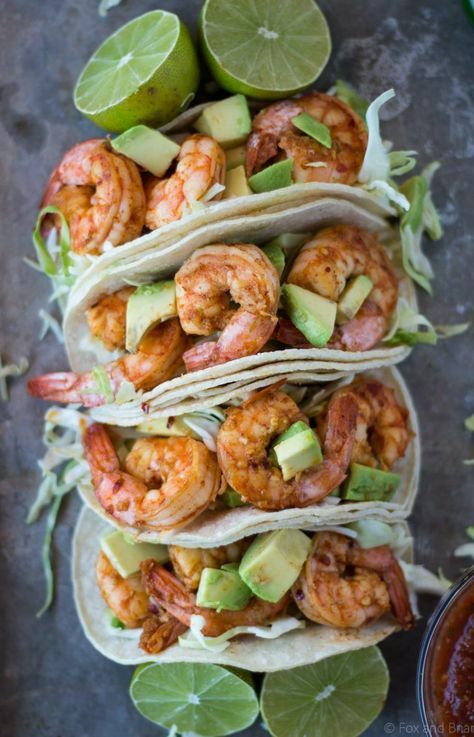 Your whole family will love these Chili Lime Shrimp Tacos that come together quickly and easily on busy weeknights. 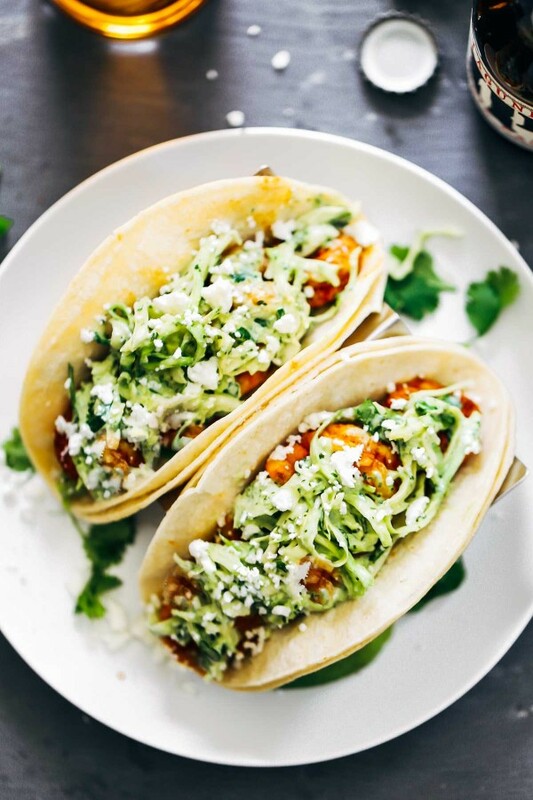 This Spicy Shrimp Tacos with Garlic Cilantro Lime Slaw recipe has it all: succulent shrimp, Southwest seasonings, rich avocados, green cabbage, and a tasty Garlic Cilantro Lime Sauce. 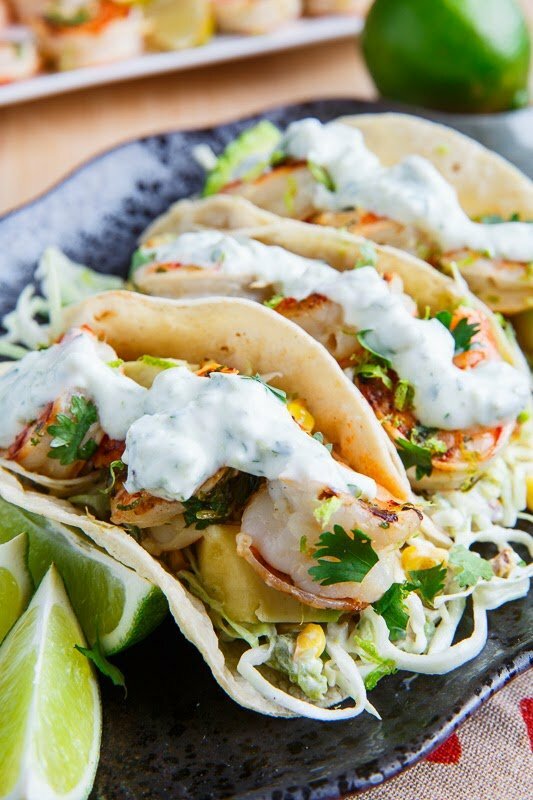 Serve these Cilantro Lime Shrimp Tacos with Roasted Corn and Jalapeno Slaw and Roasted Jalapeno Crema at your next party, and your friends will beg for the recipe! 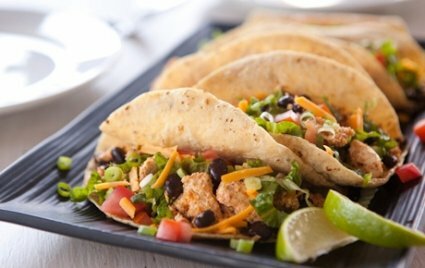 Even if you’re not a vegetarian, you’ll love these hearty Tofu and Black Bean Tacos. 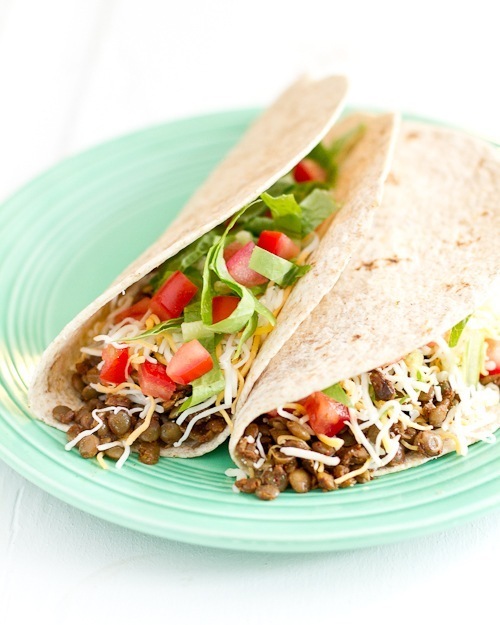 These simple yet satisfying Lentil Tacos make a mouthwatering meatless meal. 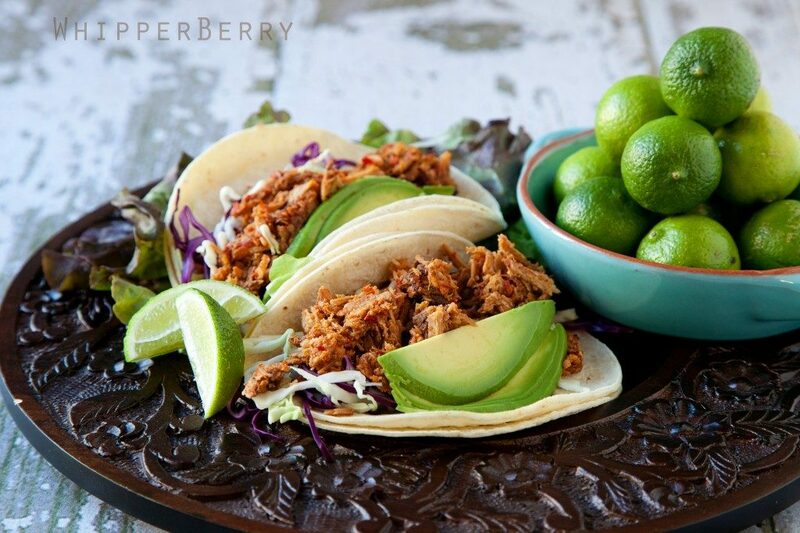 Tacos aren’t just main dishes! 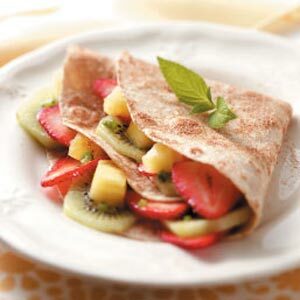 When making these Fruity Dessert Tacos, you can swap out your favorite fruit or whatever’s in season at the farmers’ market. 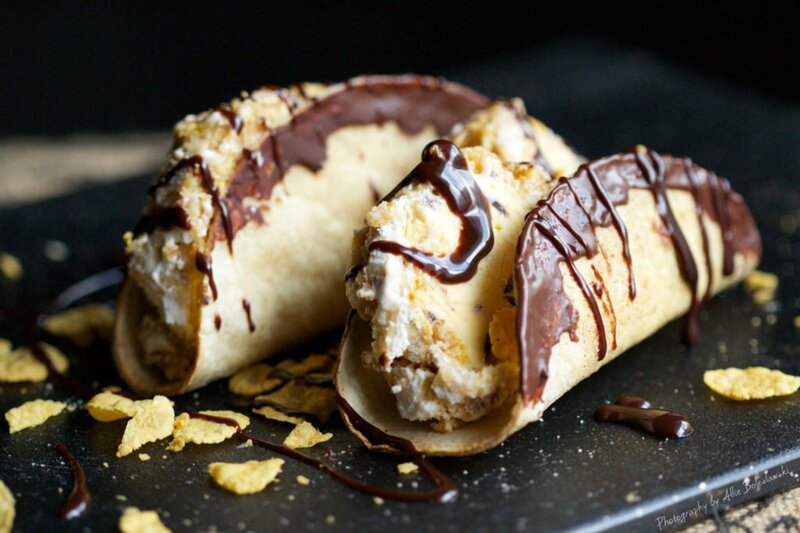 Chocoholics—and even nonchocoholics—will swoon over these decadent Chocolate Tacos. Your family will love these aptly named Ultimate Dessert Tacos, complete with fantastic fried ice cream. Whether you serve them as mouthwatering main dishes or delectable desserts, we hope you and your family enjoy these fun and festive creative taco recipes! Taco night is my favorite! Thanks for including my chipotle chicken tacos! There are so many delicious looking recipes here to try! So many delicious tacos! 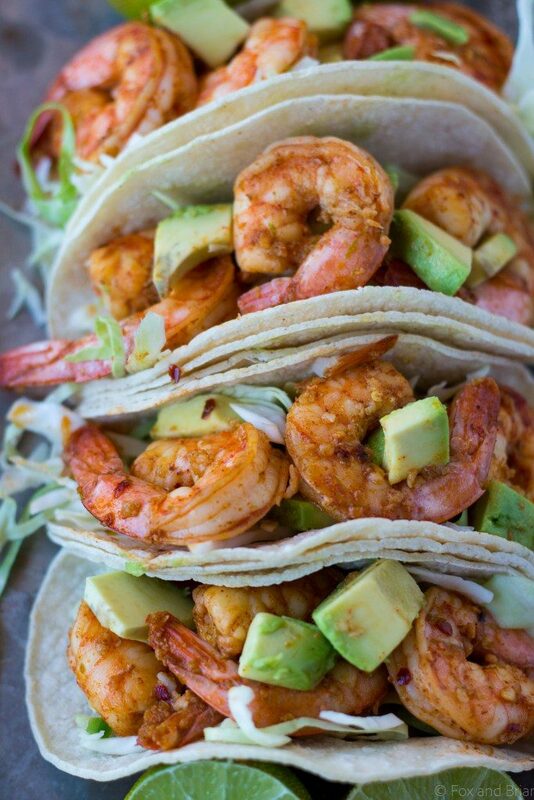 Thanks for including my Chili Lime Shrimp Tacos!